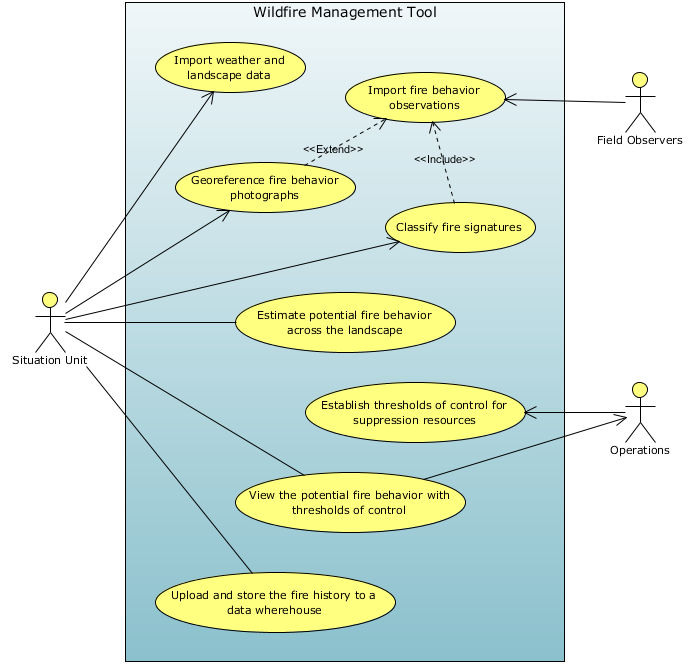 This software architecture document provides a comprehensive architectural overview of the Wildfire Management Tool (WMT) system, using the Rational Unified Process (RUP) 4+1 architectural views to depict different aspects of the system. It is intended to capture and convey the significant architectural decisions which have been made on the system. This Software Architecture Document applies to the WMT software project being developed by Bruce Schubert (www.emxsys.com). 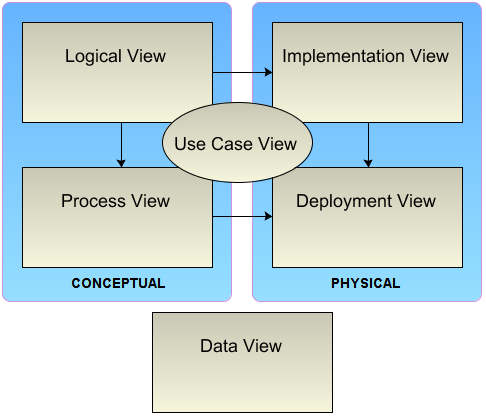 This document presents the architectural as a series of views (RUP/Kruchten 4+1); the use case view, logical view, process view, deployment view, and implementation view, plus an optional data view.. 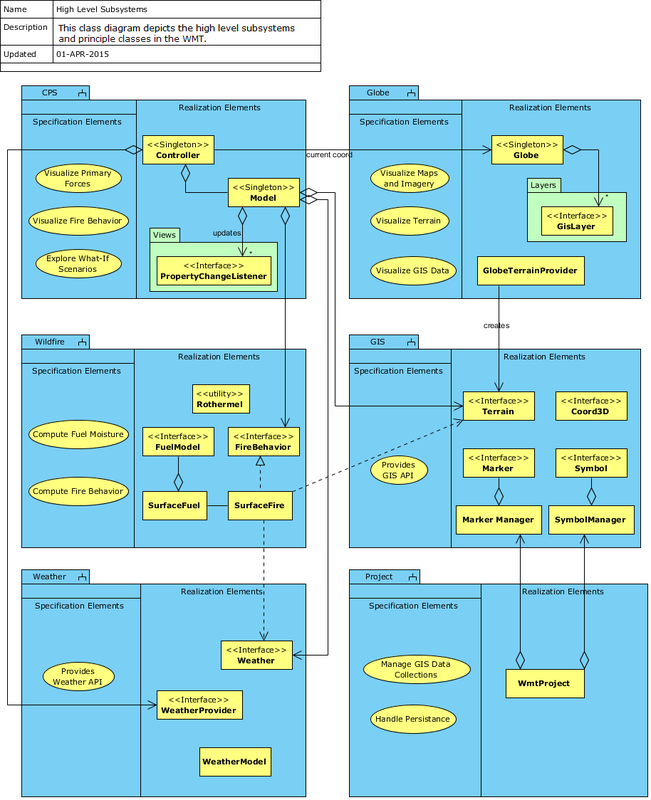 These views are presented as Unified Modeling Language (UML) diagrams. Java will be used for its cross-platform capabilities. The system will be a NetBeans Rich Client Platform application. The NASA WorldWind Java SDK will be used the terrain visualization; it is OpenGL based and cross platform capable. The Microsoft SQL Server 2012 will be used for knowledge discovery. A description of the use-case view of the software architecture. The Use Case View is important input to the selection of the set of scenarios and/or use cases that are the focus of an iteration. It describes the set of scenarios and/or use cases that represent some significant, central functionality. It also describes the set of scenarios and/or use cases that have a substantial architectural coverage (that exercise many architectural elements) or that stress or illustrate a specific, delicate point of the architecture. This section describes the architecturally significant parts of the design model, such as its decomposition into subsystems and packages. And for each significant package, its decomposition into classes and class utilities. Included are architecturally significant classes and their responsibilities, as well as a few very important relationships, operations, and attributes. 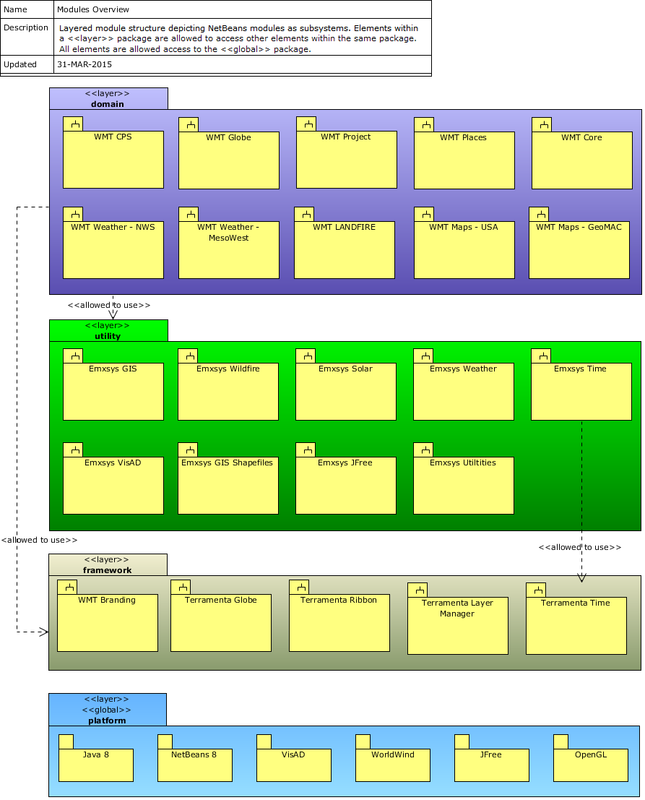 This class diagram depicts the WMT high level subsystems and their responsibilities and relationships. Note the CPS module implements the Model-View-Controller (MVC) pattern. This section describes the system's decomposition into lightweight processes (single threads of control) and heavyweight processes (groupings of lightweight processes). Sequence diagrams describe the main modes of communication between processes, such as message passing, interrupts, and rendezvous. 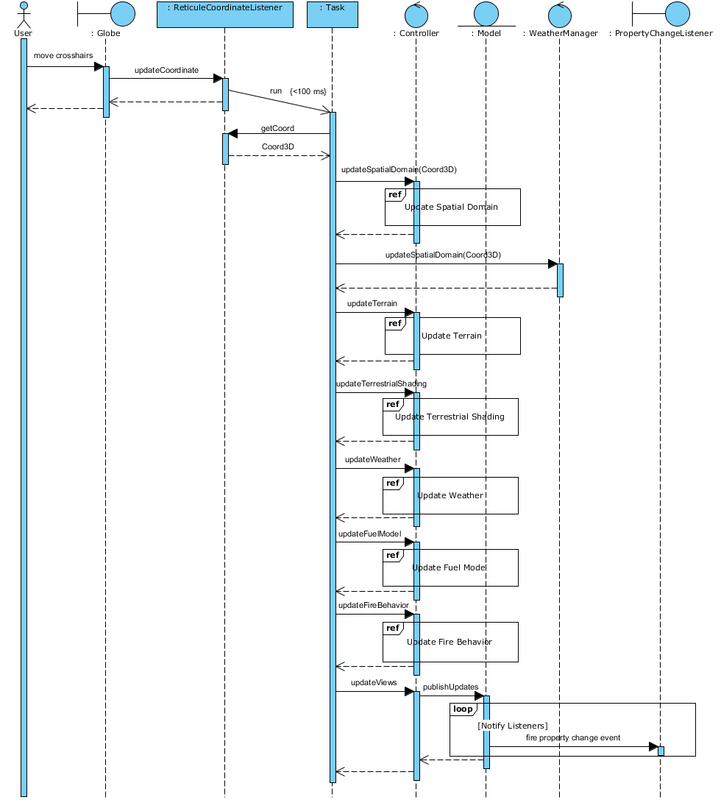 This sequence diagram shows the interaction between the MVC participants when the user changes where the cross-hairs are positioned on the Globe. 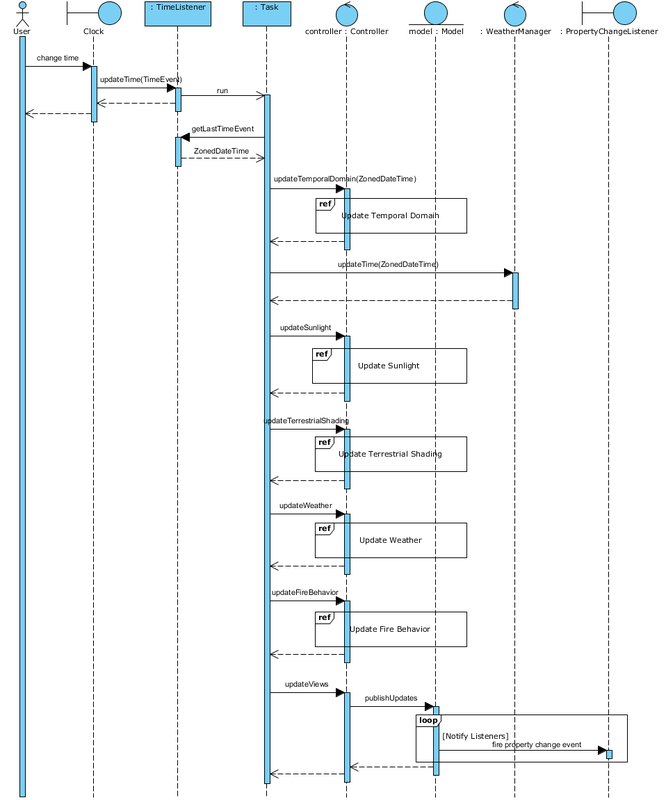 This sequence diagram shows the interaction between the MVC participants when the user changes the time via the calendar or via the animation controls (e.g., play/pause/rewind). This section describes the overall structure of the implementation model, the decomposition of the software into NetBeans modules. This section describes one or more physical network (hardware) configurations on which the software is deployed and run. It is a view of the Deployment Model. It indicates the physical nodes (computers, CPUs) that execute the software, and their interconnections (bus, LAN, point-to-point, and so on.) It includes a mapping of the processes of the Process View onto the physical nodes. 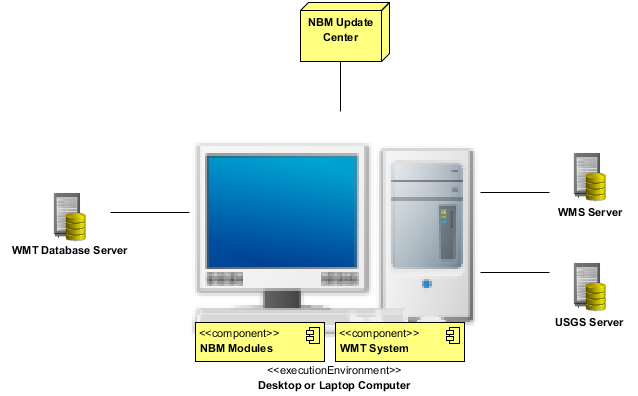 This deployment diagram shows the components of the desktop version of the WMT. Copyright © 2014-2015 Bruce Schubert, [http://www.emxsys.com].